New character posters were released today for Avengers: Infinity War! 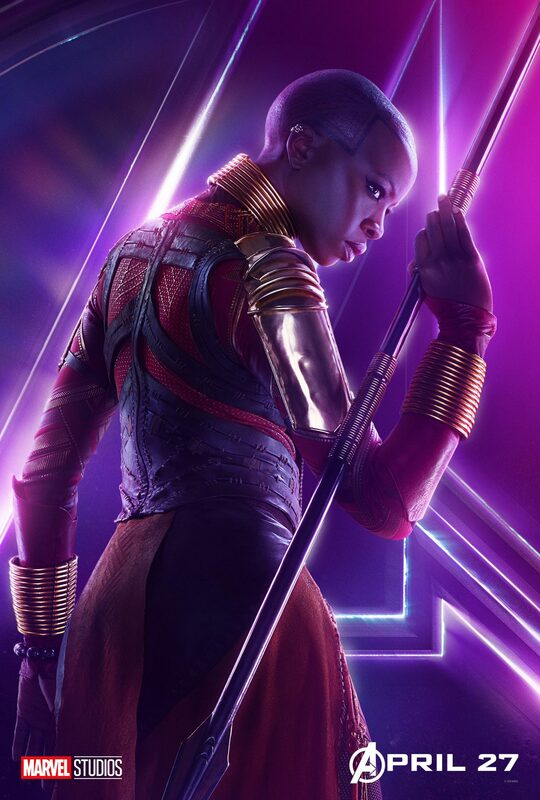 Danai’s poster is below. We are less than a month away, folks! 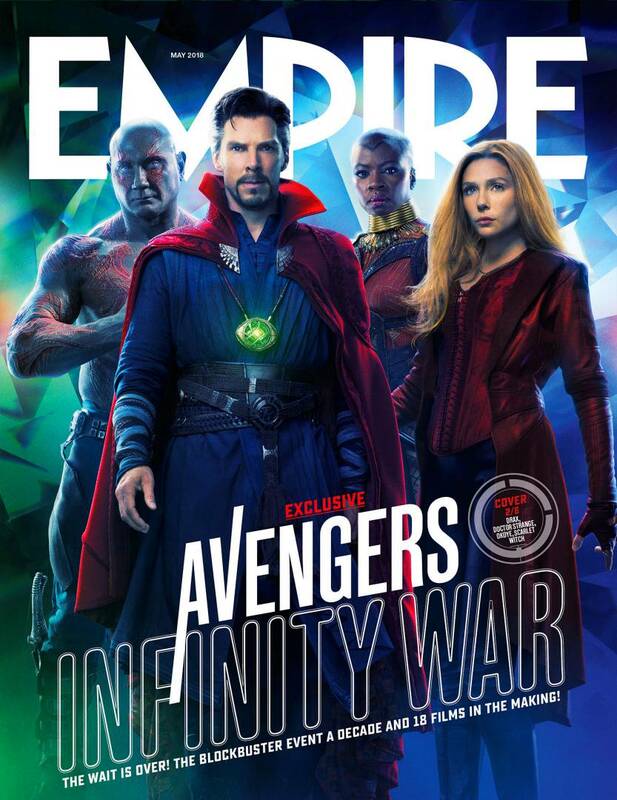 Danai is featured as Okoye on one of the special Marvel covers for Empire Magazine‘s May 2018 issue! She is also pictured with Dave Bautista (Drax), Benedict Cumberbatch (Doctor Strange), and Elizabeth Olsen (Scarlet Witch). I’ll have scans of the inside of the magazine once it’s available! Posted on March 16, 2018 Written by TaneaNo Comments on New ‘Avengers: Infinity War’ Trailer + Poster! New ‘Avengers: Infinity War’ Trailer + Poster! A new trailer for the movie and a new poster were released today! Pre-sale tickets for the movie also went on sale. It’s almost here! Danai stopped by Jimmy Kimmel Live this week to talk Black Panther! Check out the video below.